Expressive murals are now taking the leading role of the walls. The two designers Kathrin and Mark Patel of "walls by Patel" want to create a presentation surface with extremely high-quality and refined digital prints. The over 200 designs create a nearly three-dimensional impression and fascinate with their incredible effect. Specialist craftspeople take note: The new brand "PROFITEX" by A.S. Création will offer a comprehensive service in the future with a "worry-free package" for specialised crafts. Among other things, you can expect comprehensive training and certification as well as sales support and consulting services. Participation in this programme is intended exclusively for specialist companies who are loyal to PROFITEX. 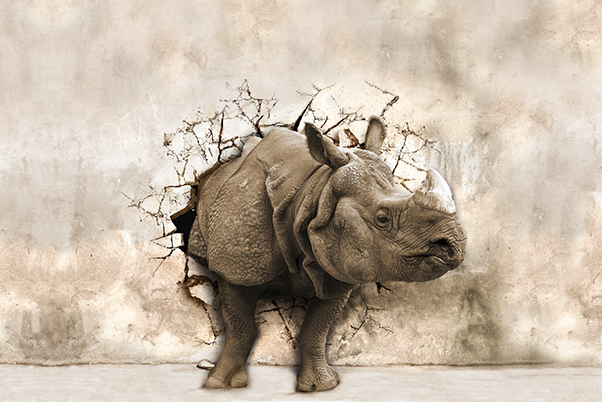 A.S. Création started the year with the "New Bude 2.0" campaign and continues to impress with TV ads, billboards, etc. Together with the characters of Tibo, Marie, Carlos and Klara, you can now start your 2018 wall project and dive into the creative and diverse world of wallpapers. Wallpaper is fashion. Wallpaper is design. And all this of course in the best, sustainable quality. Made in Germany by A.S Création. With their stand of the Architects Paper brand in the style of an "American diner" at Heimtextil 2017, A.S. Création once again showed what is possible with reproduction technology and wallpaper. The jury members of the German Brand Award 2017 nominated the trade fair appearance of the premium and object brand Architects Paper at Heimtextil 2017 in the category of "Excellence in Brand Strategy, Management and Creation". A.S. Création worked with Studio Baan to create the "DESIGNBOOK2019" with trend visions as the basis and pillar for everyone who deals with “fashion on the walls” and are responsible for product ranges. The jurors of the German Brand Award 2017 nominated "DESIGNBOOK2019" in the category of “Industry Excellence in Branding”. The successful Polish designer and architect Mac Stopa together with A.S. Création created their first wallpaper collection, "Harmony in Motion by Mac Stopa", proving that geometry is anything but bleak. At Heimtextil 2017, Laura Noltemeyer, who runs a design, fashion and lifestyle blog, presented her first wallpaper collection "Design Jungle by Laura N.", which she developed together with A.S. Création. Created together with students from the faculty of Design and Art at the Bergisch University of Wuppertal, “Change of Scenery” is the first edition of A.S’s completely redesigned specialist manual. Création Wallpaper Foundation for painters, interior designers, visual marketing designers and interior decorators. The TapetenAkademie founded by A.S. Création starts with the first CCI course with a certificate examination as a "professional consultant in wallpapers (CCI)" and now offers the opportunity to receive additional training in exclusive certification courses and to achieve a qualification. MICHALSKY LIVING, the world-famous interior design brand of the German star interior designer Michael Michalsky has been awarded the German Design Award for the wallpaper collection “METROPOLIS“ created in cooperation with A.S. Création. By trainees, for trainees This is intended as a platform for all prospective students and to showcase training opportunities offered at A.S. Création. Blog posts paint a picture of the daily life of a trainee and demonstrate the benefits of doing an apprenticeship. We want to offer our trading partners the best possible support when providing advice regarding our products and so have created the "TBS app by A.S. Création" for this very purpose. Top digital performance in a twin pack. At this year's Heimtextil, the world's biggest trade fair for home textiles in Frankfurt, as well as at Farbe in Munich, the A.S. creative team created a faithful reproduction of the Gummersbach venue Halle 32, thereby showing what can be achieved with reproduction technology and wallpaper. Architects Paper presents innovative product highlights with a new design and in a new prominent location (Hall 3.1| Stand D92) at the “Heimtextil” trade fair in Frankfurt. The highlights include Acoustic Pads, Volkswagen digital prints and the “Pigment” paintable wallpaper collection. The new Acoustic Pads offer aesthetic sound absorption. The diamond shaped pads simply stick to the MAGNETIC wallpapers of the “AP 1000 - Design by Porsche Design Studio”. This can provide an immediate remedy for problem areas without the need for a complete refurbishment. Around 30 trend scouts identified the latest industry trends for the sixth time at the “Heimtextil” trade fair. Our MOVE YOUR WALL collection was nominated for the award. Architects Paper won the AIT award for its LED wallpaper. The newly designed client login offers an optimal and fast service. You can easily view your orders and browse the collections online. Nostalgic and right on trend: Architects Paper presents the first digital prints of historic Volkswagen images, such as the iconic VW Beetle and Bulli. Smart, compact and flexible: a new convenient format size for our wallpaper collections is launched. Sample books 27 cm wide x 25 cm high are much easier to transport and handle, yet offer the whole world of wallpaper despite the smaller size. The new Trend Tower, part of A.S. Création's shop fitting system, combines space-saving presentation of merchandise in the smallest space with an impressive product display. 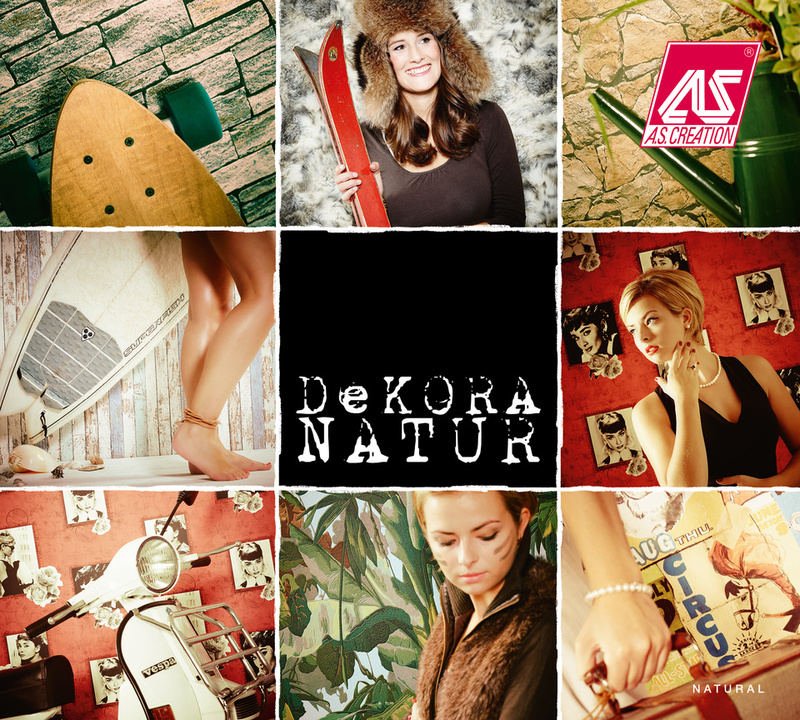 For the first time ever, we put A.S. Création trainees in front of the camera for the sixth edition of the popular “Dekora Natur” collection. Our most successful decor wallpaper now also shines with a smart sales concept. The renowned product and interior designer Werner Aisslinger creates his first collection of wallcoverings in collaboration with A.S. Création. The collection is launched at the Design Hotel 25hours Bikini Berlin, another Aisslinger creation. Pin boards are a thing of the past. These high-quality panels can be used in a multitude of ways and come in the colours champagne, silver, gold, copper and black. The panels are easy to handle and simple to mount on the wall. The Dutch lifestyle brand Djooz produces its first wallpaper collection “DJOOZ” in collaboration with A.S.Création. A.S. Création Family Day: A.S. Création celebrates the companies 40th anniversary together with its employees and their families at their facility in Gummersbach/Derschlag. 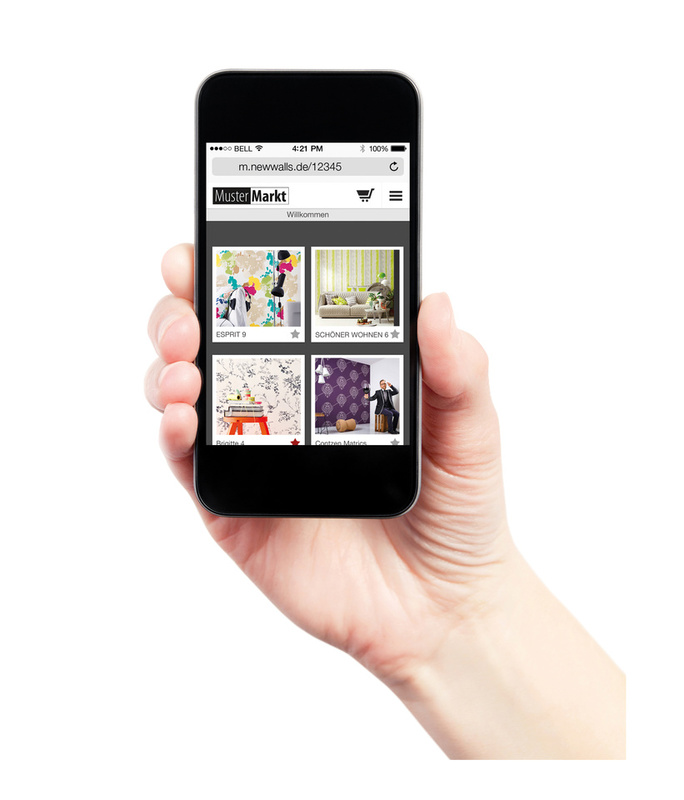 A.S. Création Wallpapers presents a new tool - the mobile shopping tool - which its dealers can use to sell wallpaper online to the consumer on their behalf. The dealer determines the product ranges and prices while the processing is handled by A.S. Création. 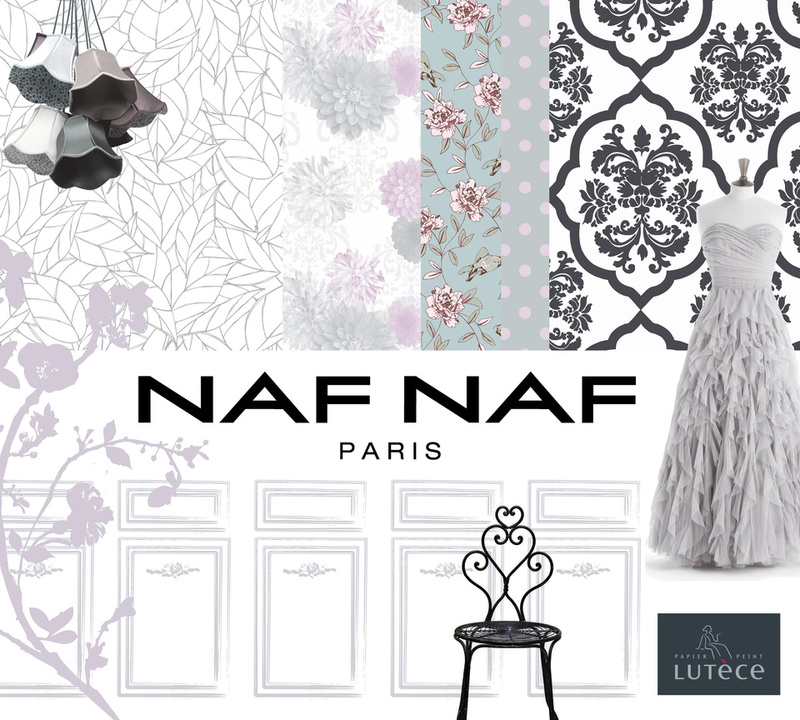 Inspired by Prêt-à-porter and shop décor from the world of the NAFNAF fashion label, Lutèce launch their first wallpaper collection under this label. The successful store display concept from the "livingwalls" concept store is extended to include a number of innovations and modular solutions. The focus here is the new JUST BRANDS roll module, developed specifically for the interactive POS, which prominently presents individual rolls under the various design labels and can be stocked with relevant product information and/or QR code links. The RAFFI designer cuniformollection, presented in October of last year, is presented as a complete concept at the A.S. Création booth in a special presentation with store display concepts specifically developed for the brand as well as other product groups, such as rugs, fabrics and doormats. Heimtextil - AP-Pigment celebrates its premiere on the occasion of Heimtextil 2014. 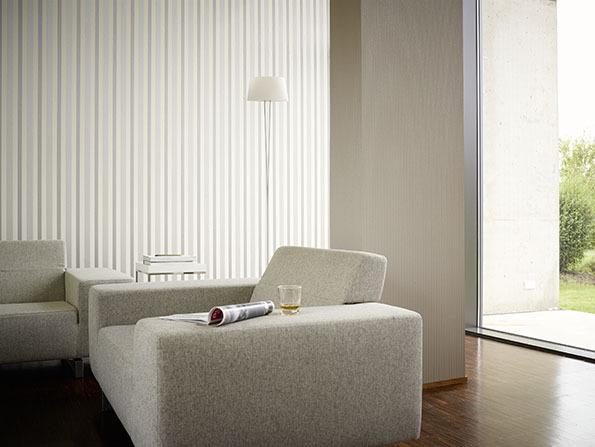 The innovative, paintable, non-woven wallpapers are presented in a 40 m2 special area in Frankfurt. Application demonstrations and product samples with sophisticated colour schemes attract a multitude of visitors and the trade press. And AP-Pigment wins: the international trade journal AIT chooses the COLORTEC series as the innovation of Heimtextil 2014. A new look in an instant with the new product "pop.up Panel". The self-adhesive decorative panels offer various application possibilities on walls, doors or cabinets. Maarten Vrolijk presents his first wallpaper collection with A.S. Création under the RAFFI label. In addition to wallpapers, fabrics are also available in the opulent design language of the Dutch designer. The marketing of the wallpaper collection METROPOLIS begins, which was created by the German fashion designer Michael Michalsky. On July 29, A.S. Création stock is converted from bearer stock to registered stock. Since then, A.S. Création carries the international securities identification number DE000A1TNN5 and the trading symbol "ACWN". Mr. Antonio Suskas starts on April 1 as the new CPO of Production and Logistics at A.S. Création Tapeten AG. The completely redesigned company website www.as-creation.de is released and available in eight languages. The fresh design of the new website invites visitors to explore the collections and company content. At the Heimtextil trade fair in Frankfurt, A.S. Création set a new milestone: the first VERSACE wallpaper collection. Dull doors are things of the past. Tür 2.0 - Doors & More provides the solution to brighten up colourless door panels. 30 expressive motifs ranging from the heavy oak door to the safe are available in a photo-realistic quality. Since 21 June 2012, owner and manager Mike Eichmüller introduced more than 5,000 trendy wallpapers in his Livingwalls Wallpaper Store in Cologne. The flagship store concept of A.S. Création is showcased in Eichmüller's 90 square metre store in the Pfeilstraße, Cologne. Innovative, puristic and timeless: the first wallpaper designs from the Porsche Design Studio are embedded with a unique trademark in the collection, AP 1000 Architects Paper. Architects Paper developed LED wallpaper in collaboration with Ingo Maurer to portray modern lighting design on walls. The jury of the German Design Council distinguishes this innovative kind of wall covering with the Interior Innovation Award 2012. In March 2012, LED wallpaper - Architects Paper by Ingo Maurer - featured on Galileo, the ProSieben TV science magazine programme with Aiman Abdallah and Stefan Gödde. A.S. Création introduced at its headquarters in Gummersbach, an entirely new concept for marketing wallpaper in speciality retail shops with the livingwalls flagship store. Wallpaper is staged as a fashion and lifestyle product. In conjunction with the launch, a matching wallpaper lifestyle catalogue was presented featuring photos that bring to mind the world of a fashion shoot for women's fashion. At the Heimtextil Fair in Frankfurt, A:S. Création debut a completely new exhibition stand. Along with Indes Fuggerhaus and Lutece all new wallpaper and decorative fabric trends are on show. 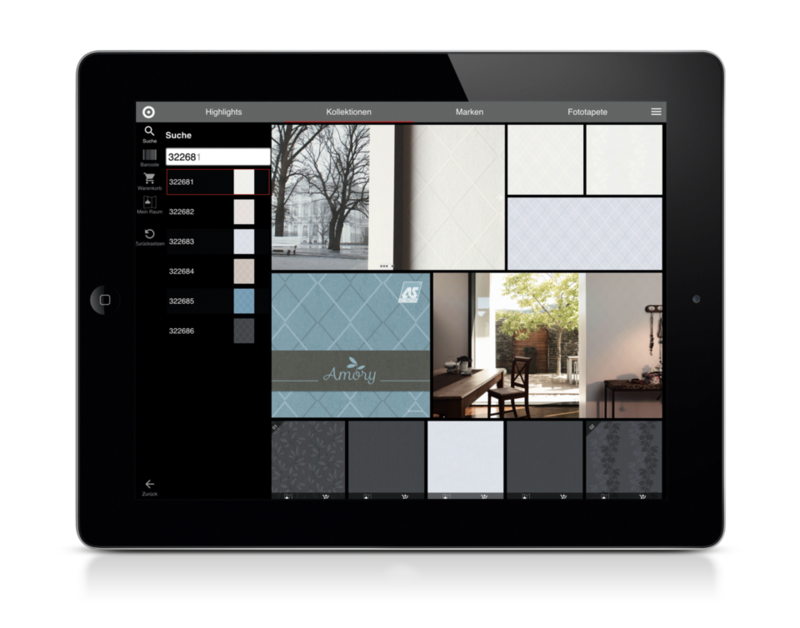 A.S. Création presents the first wallpaper app with which the customer can access information on the latest furnishing and lifestyle trends on the iPad. After 2010's XXL digital wallpaper collection, that offered an entirely new and very individual type of wall design and beings so well received by our customers, another digital printing machine has been commissioned in Bomig. A.S. Création presents the first wallpaper collection by designer Jette Joop. Under the license and collaboration of Germany's largest and most successful women's magazine, BRIGITTE, A.S. Création developed a high-quality collection that is specially designed for a fashion and textile conscious female target group. A.S. Création presents the first complete software update for the wallpaper-order shop (touch screen). Many improvements compared to the first version have been integrated into version 2.0. The user interface has become much easier. New dimensions, new perspectives: Limited by fixed pattern repeats on wallpapers is now a thing of the past. 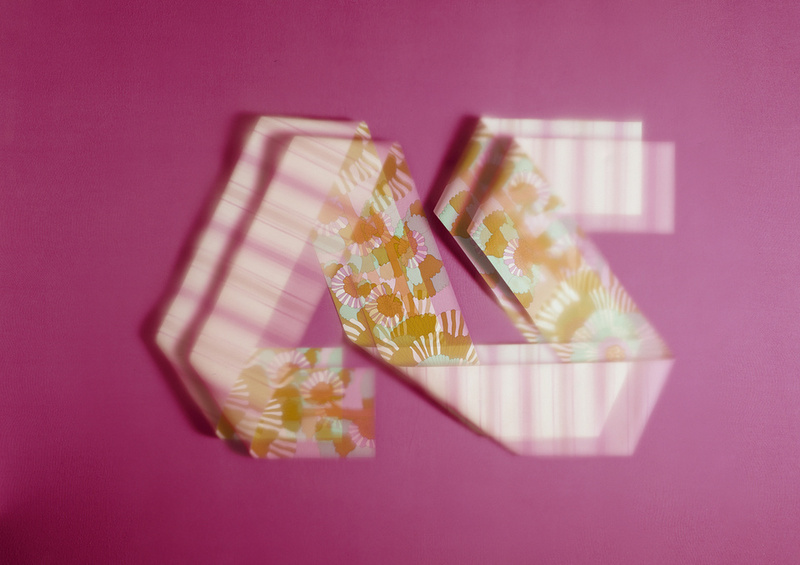 All the ideas that could not be realised with traditional screen and gravure printing techniques have now been made possible by A.S. Création through digital printing. To launch the digital printing era, A.S. Création has 120 motifs on offer, allowing for spectacular space solutions. 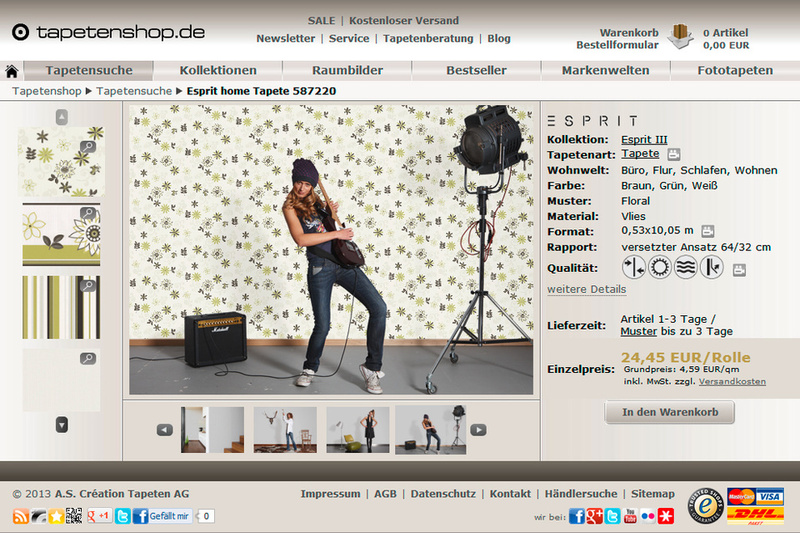 2010 - Relaunch online shop "tapetenshop.de"
Update of the online wallpaper store concept ("Tapetenshop"); design and structure are more user-friendly. Presentation of the wallpaper in portrait mode, thereby enhancing the view of the pattern repeat in the design. In addition, the order process has been simplified and new payment options added. Completely new is the XXLwallpaper brand with large-sized motif wallpapers, where the customer can choose from existing motifs or upload and visualise their own. A.S. Création teamed up with the Daniel Hechter fashion brand and developed a high-quality collection, which sets the trend for stylish interior decoration in its simplicity and fashionable hues. Through the interplay of light and dark colours, a modern but pleasant atmosphere is created in each room. 2009 - wallpaper order shop "tapeten-bestellshop"
A.S. Création has developed an innovative sales tool for retailers: the first, intuitive ordering wallpaper shop ("Tapetenbestellshop"), an attractive POS advice module with a large display utilizing state-of-the-art touch screen functionality as the central element. Here, the salesperson can cooperate with the customer to find their unique dream wallpaper wish come true by selecting from some 2,500 wallpapers using a variety of search functions and subsequently to visualise the choice in a user-defined environment of stylish living. Lena Gercke is the face of the new desk calendar NEW WALLS - an initiative of the A.S. Création wallpaper foundation in cooperation with the German Wallpaper Institute and with support from Metylan. The Architects Paper brand, initiated by A.S. Création, opened up a new avenue for business ventures. Now innovative, exclusive wall solutions are created here, which specifically target architects / interior designers, designers / stylists, and creative interior designers and planners. The largest part of the collections is manufactured utilising complex special procedures. Unprecedented spatial concepts and moods can now be created thanks to Architects Paper products. Under the new label "ARCHITECTS PAPER", A.S. Création presents the first collection exclusively for architects. This high-quality non-woven collection was developed by HADI TEHERANI, one of Germany's best known architects, and for the first time a wallpaper collection featuring coordinated fabrics and wall design elements (Shadow room-divider module) was created. Together with Gruner + Jahr, AS Création developed the first SCHÖNER WOHNEN wallpaper collection. SCHÖNER WOHNEN is for many years now the leading home and interior design magazine in Germany, enabling A.S. Création to integrate an attractive new brand in its own brand specialisation. A.S. Création and Kof Palitra, Russia's leading wallpaper manufacturer, founded the joint venture OOO AS & Palitra. This joint venture is expected to produce higher-quality wallpapers in Russia for the East European market. A.S. Création acquires the majority stake in MCF Investissement SA and SCE SA, the two leading French wallpaper wholesalers. Thus A.S. Création strengthened its own position in the important French wallpaper market. 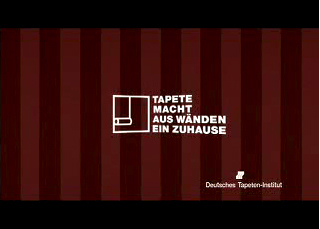 2007 - Launch of Online shop "tapetenshop.de"
In August 2007, A.S. Création launches its first online platform which provides the customer in addition to a wide product range and a service portal, the opportunity to order their wallpapers online directly from our retail partners. The launch also features the Wallpaper Explorer - one of the world's most extensive wallpaper search engines on the web - the Showroom and the Wallpaper Styleguide for advice on the types of wallpaper. A.S. Création introduces ZEN a high-quality non-woven collection in exclusive colours. The innovation: all wallpapers can be freely combined as modules with each other, as well as with diverse offset pattern repeats for unlimited free combinations on the wall. This results in a wide variety of wall compositions with an individual and unique appeal of extremely high quality. Exclusively for A.S. Création, artist Lars Contzen developed his first wallpaper collection with motifs and colour schemes expressing a real sense of life. Lars Contzen was born in 1970 and lives and works in Hanau near Frankfurt. There the graduate artist develops wallpaper, flooring, furniture shop and interior design concepts for international customers. The "Contzentrade Showroom" near Frankfurt exhibits the entire world of Contzen designs. A.S. Création received the prize for the best delivery service in the home textile industry by the readers of EURODECOR magazine for the second time in 2005. 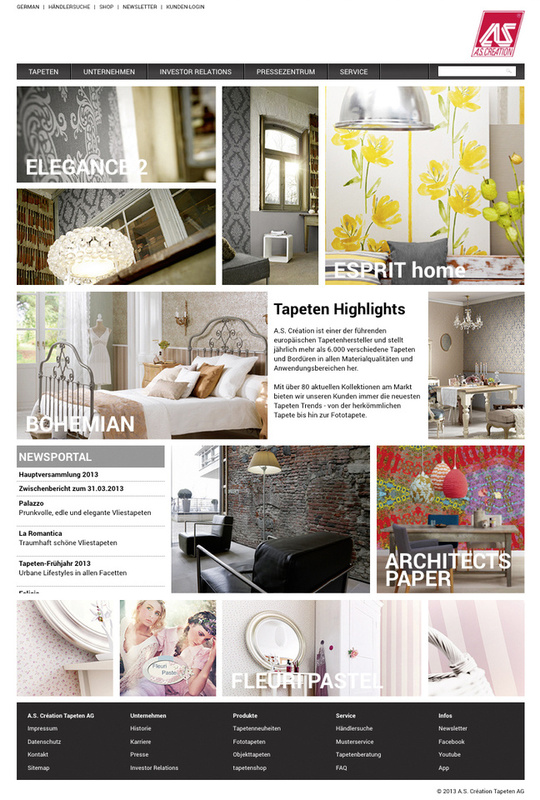 A.S. Création presented the first ESPRIT home wallpaper collection on the occasion of Heimtextil 2006 in Frankfurt. This marked the start of the 4 home-design style themes Ethnic Mix, Home Spa, Vitalized and Grassland. In collaboration with the German Design Council in Frankfurt, A.S. Création developed the Wallpaper Styleguide, a tool that enables the consumer by way of a simple analysis to identify his style of living easily and quickly from the large A.S. range with an individual and type-matching wallpaper. Non-woven wallpapers are becoming increasingly popular. Therefore, A.S. Création set the focus for a consumer campaign on non-woven wallpaper: "Meistervlies"- wallpapering in record time. Billboards and public advertising displays with unique designs for quick and easy handling of NON-WOVEN wallpaper. For the first time at the Paint Fair in Cologne, the trade fair for the paint trade, A.S. Création presented NON-WOVEN WALLPAPER - wallpapering in record time. In keeping with the motto, the first wallpaper world championship was staged here under the direction of TV presenter Ulli Potofski. The outcome was amazing wallpapering times and extravagant design ideas are proven once again: NON-WOVEN WALLPAPER - wallpapering in record time. A broad-based new campaign for the wallpaper gets going thanks to the VDT: Cinema spots and city-light posters illuminate the message: "Wallpaper turns walls into a home." 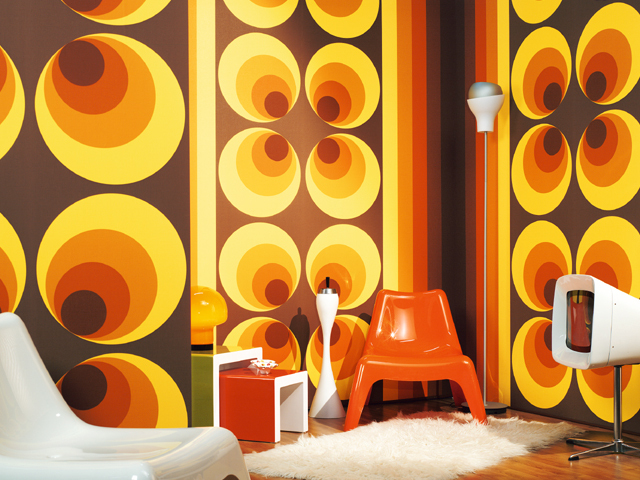 A.S. Création celebrates the comeback of the 70s wallpaper on the "wall" with the RETRO VISION collection. A large consumer package with banners, postcards and much more gets under way. Retro Vision shakes up the media landscape: some venues for "Germany seeks the super star" (DSDS in RTL) or trendy bars are decorated with stylish wallpapers. The acquisition of three wallpaper wholesalers: in France (PPSE and Edirama) and in the Netherlands (Wandvisie). PPSE SA and Edirama SA receive a new name in A.S. Création (France) SA and Wandvisie in AS Création (NL) BV. Renewed capacity expansion in Wiehl Bomig by the commissioning of a 10 colour gravure and screen printing combination facility. 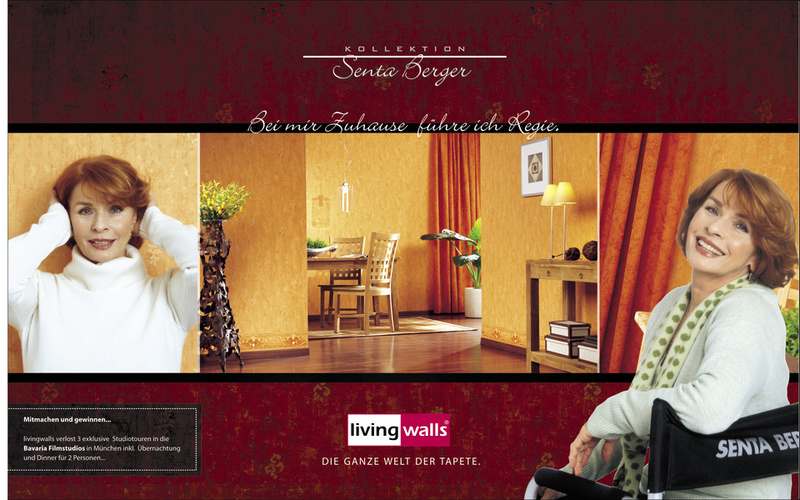 A.S. Création launched a new consumer campaign with the Senta Berger testimonial to promote the third collection under the livingwalls brand. A.S. Création advertises extensively with perimeter advertising at the 1st FC Cologne. On 1 September A.S. Création acquired the rights to the name and the business operations of the textile wholesaler FUGGERHAUS, a company steeped in tradition, and in so doing cemented its market position in the field of decorative fabrics. Interior home design with star designer Rick Mulligan in the ZDF programme "Volle Kanne Susanne"
In Spring the new modern brand livingwalls is presented for the middle to upper market segment. As www.as-creation.de the first so-called Wallpaper Explorer is launched making it possible for the consumer to choose personal favourites from the collection. The subsidiary, Indes Wohntextil GmbH, moves from Lemgo to Gummersbach-Derschlag. Jürgen Schneider founded the A.S. Création-Tapetenstiftung. A major fire breaks out in the finished goods warehouse in Gummersbach-Derschlag. Transformation into an AG and stock market floatation. Acquisition of the textile wholesaler Indes Wohntextil and the founding of the subsidiary A.S. Création (UK) Ltd.
A.S. presents a wallpaper collection by Karl Lagerfeld. German reunification provided the industry with a bigger market. Number of employees increases to 280. The first direct export sales. Product range and scope started to take on dimensions that led to the erection of a high-bay warehouse with 3,600 palett positions. First participation at the Heimtextil trade fair in Frankfurt. The "white wave", especially with the elegant collection "New Look" by Elsbeth Kupferoth, highlights the 1982 sales success.